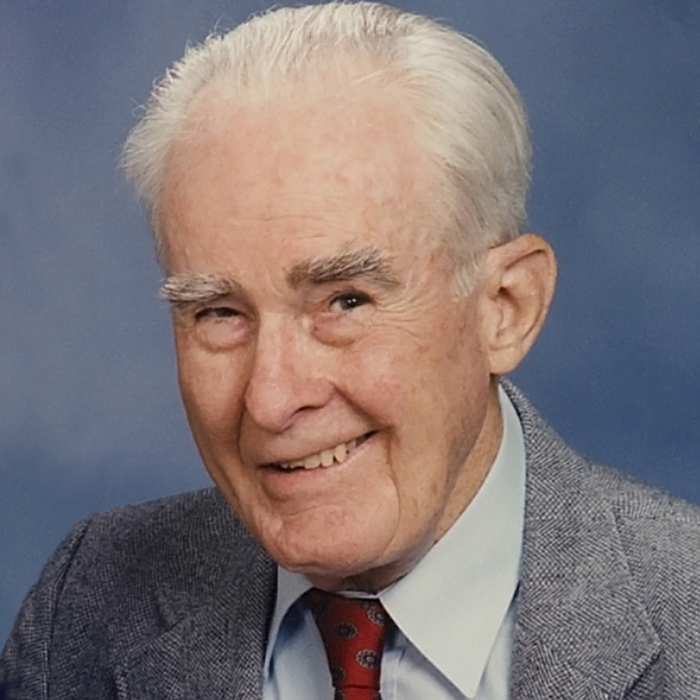 Obituary for John O. McClurg | Sierra View Funeral Chapel & Crematory, Inc.
John O. McClurg, 93, passed away peacefully on March 22, 2019, in Carmichael, California. He was born on December 17, 1925, in Los Angeles County, the only child of Elmer and Leona McClurg. John graduated Fairfax High School in Los Angeles shortly before enlisting in the Navy in 1943 at the age of 17. He served aboard the destroyer USS Wren DD568 in the Pacific Theater during World War II. Upon being discharged from the Navy in 1946, he attended Los Angeles City College, graduating in 1949. In January 1952 John received a bachelor’s degree in engineering from USC and went to work for the California Department of Water Resources in its Ventura County field office. That same year John met Pauline Smith at a bachelor/bachelorette square dance club. The two of them were married on July 5, 1953, and celebrated 63 years of marriage until Pauline’s death in April 2017. In 1959 the couple moved to Sacramento where John continued his career with the DWR, retiring in June 1988. One of his favorite pastimes was camping and hiking, and the family spent many vacations in the Sierra Nevada. Later travels for John and Pauline included Alaska and Hawaii. They also took many Elderhostel trips together and attended several reunions of John’s USS Wren shipmates. John is survived by his two daughters Sheryl (Jim) Rothery and Sue (Curt Leipold) McClurg; granddaughters Leah (Andrew) Lammers and Hannah Rothery; and great-granddaughter Grace Lammers. A memorial service will be held April 20 at 1 p.m. at Sierra View Funeral Chapel, 6201 Fair Oaks Blvd., Carmichael.